? 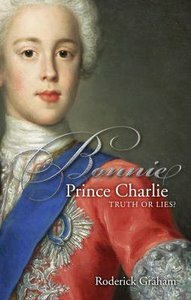 The second book in the Truth or Lies series, following the success of Mary Queen of Scots. ? Completely original, unique approach - 10 myths explored in 10 fascinating chapters. Roderick Graham has been an award-winning producer and director in TV drama. He was also Head of TV Drama for BBC Scotland and he has written numerous radio plays and two dramatised biographies. Drawing on his considerable talent for bringing key people in history to life, he writes in a well-reasearched and enthralling style.